A petition signed by thousands has been delivered to the BBC calling for the removal of its new vice-chair, Roger Carr, because of his continued chairmanship of BAE Systems, Europe’s biggest arms company. Delivered on Thursday morning by the Campaign Against the Arms Trade (CAAT), the petition was signed by 6,350 people with the aim of having Carr removed. CAAT spokesman Andrew Smith said: “BAE Systems is Europe's biggest arms company and has made its money through arming dictatorships and human rights abusers around the world. He pointed out the deep historical connections between the government and BAE, a global arms powerhouse. “The government spends around £4 billion a year on BAE's arms and services. It is vital to have a national media that can hold them to account. 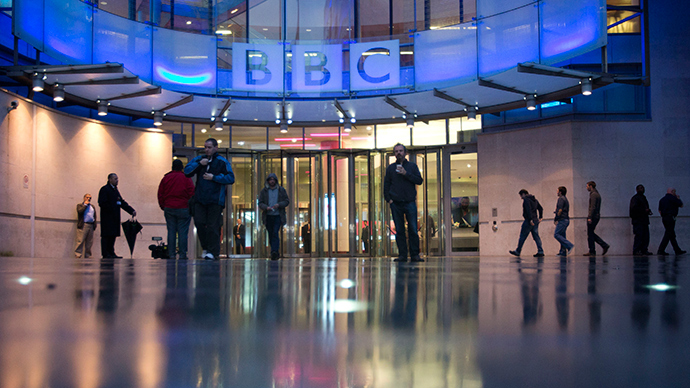 The BBC Trust is the organization’s governing body and is charged with many critical functions such as output and creative direction, and the license fee. Appointments to the trust are made on the recommendation of UK government ministers. The board of trustees consists of 12 people, including a chairman, a vice chairman and members representing England, Scotland, Wales and Northern Ireland. BAE Systems has sold weapons to despotic regimes and human rights abusers in Saudi Arabia, Bahrain and Israel. The firm’s reputation has been further damaged by bribery allegations that have sparked multiple anti-fraud investigations in Britain and America. Despite his prominent role at the firm, Carr will be paid £70,610 a year to ensure the BBC acts in accordance with license fee owners’ interests. CAAT suggests the arms dealer’s appointment could pave the way for the broadcaster to whitewash the arms trade’s destructive impact across the globe. The charity warns arms dealers care little about broadcasting or the public interest and are primarily driven by a desire to bolster arms sales, and attract a veneer of legitimacy in the process.